Round stencil brush Gr. 04: Ø 4,0 mm with 2-colored synthetic hair in a seamless, black ferrule, with a short, 2-color painted handle. Round stencil brush A380 Gr. 6; Ø 6,0 mm with 2-colored synthetic hair in a seamless, black ferrule, with a short, 2-color painted handle. Round stencil brush A380 Gr. 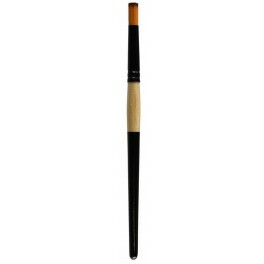 8: Ø 8,0 mm with 2-colored synthetic hair in a seamless, black ferrule, with a short, 2-color painted handle. Round stencil brush A380 Gr. 10: Ø 8,0 mm with 2-colored synthetic hair in a seamless, black ferrule, with a short, 2-color painted handle. 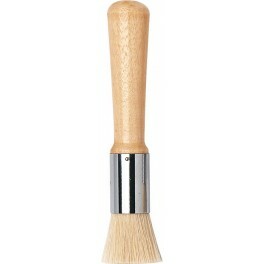 Round stencil brush A380 Gr. 12: Ø 10,0 mm with 2-colored synthetic hair in a seamless, black ferrule, with a short, 2-color painted handle.